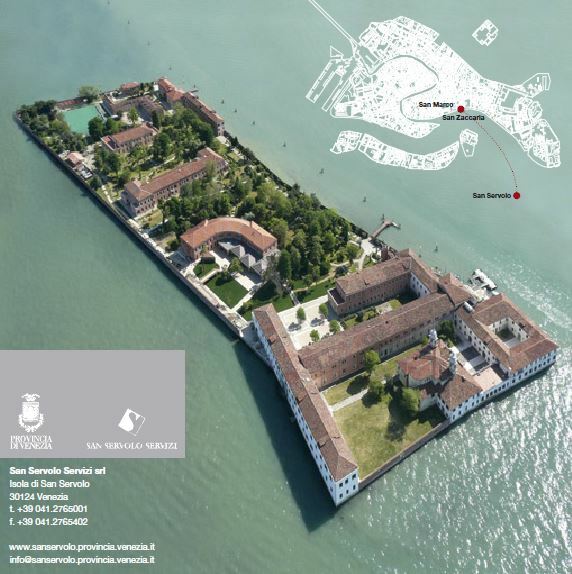 Our last and final annual symposium will take place from the 27th to the 30th September 2016 in Venice, on the Island of San Servolo. This symposium, a joint initiative of the pNMR project and the Gruppo Italiano Discussione Risonanze Magnetiche (GIDRM), is meant as a journey into paramagnetic NMR, between theory and experiments, solution and solid-state, with applications ranging from chemistry to biology, including catalysis, battery materials, metalloproteins, and large protein-protein assemblies. It is addressed to an audience of members of the Italian Society, students from Italian Universities, and researchers from the pNMR extended network. On Wednesday 28th, talks will start at 10h30, and should last 20 minutes, with 10 minutes of discussion. On Thursday 29th and Friday 30th, each pNMR fellow will present her/his PhD work in front of a jury composed by three PIs, in the presence of his/her supervisor/s, of the other pNMR colleagues, and of other senior scientist with or without a specific knowledge in their field. Each talk should run for about 30 minutes, followed by an exchange with the jury (and the public) for about 30 more minutes. There are no special rules for the presentations. For the fellows, this will be an opportunity to practice their PhD defence in front of an expert public, and an exercise to summarise clearly state-of-the-art, motivations, challenges, results and perspectives of the work. The members of the public will be encouraged to ask questions and challenge the speaker. Jury members will act as external examiners, and ask fellows questions after their presentations, for example listing the points they did not explain/present correctly in their presentation, and possibly suggesting what they should work on in the remaining time of their PhD. On Friday afternoon, the two senior ERs, Puneet and Tobias, will present an overview of their research (without a jury). To book your accommodation, please send the form below to reception@servizimetropolitani.ve.it. The “Marco Polo” airport of Venice is on Terra Firma or as the Venetians say: on the firm earth. 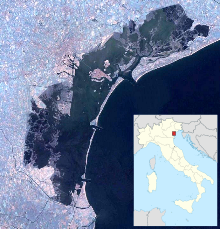 It is 12 kilometers from Venice by the road and 10 kilometers by boat across the lagoon. Marco Polo Venice is also 25 kilometers far from Radicchio/Treviso, 35 kilometers from Padua, 45 kilometers from Jesolo and 65 kilometers from Vicenza. The easiest way to reach the Island from the airport is by boat (2 boats from 2 companies : ALILAGUNA then ACTV).It cost 20€ (one way), and takes about 1h30. 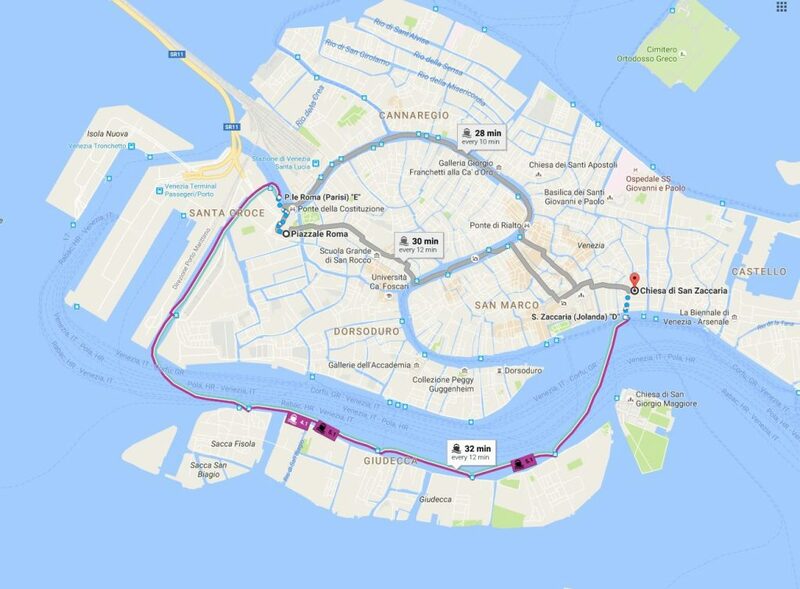 Another solution is to take 1 shuttle bus (ATVO company) at the airport to Venice bus station, and then 2 boats (ACTV). It costs 15.50€, and takes about 1h20-1h40 depending on the correspondence. Please beware of the waiting times between all connections. All Buses stop at Piazzale Roma, the bus station located in the northern part of the city of Venice. 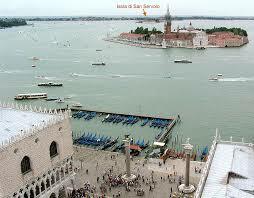 Once at the bus station, you will have to take a boat to San Zaccaria, and then another boat to San Servolo. 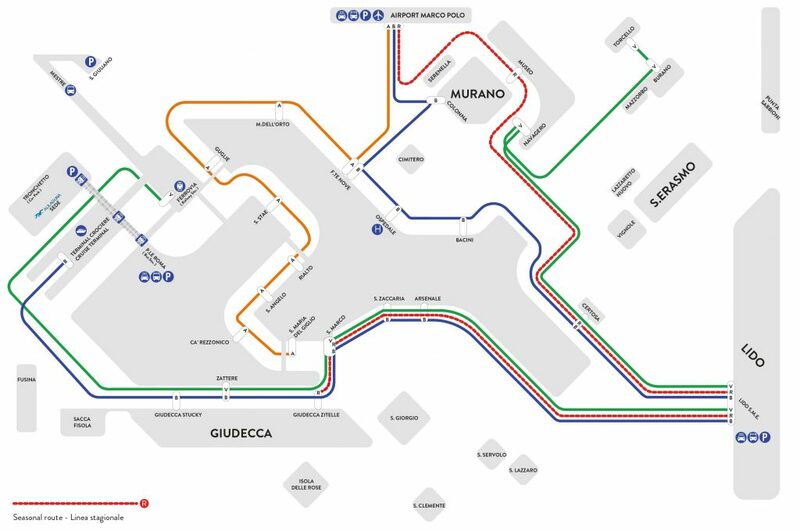 -This is the quickest way (about 20 minutes) as, unlike the ACTV line, it does not stop between the airport and Piazzale Roma. -You can buy your ticket at the baggage collection area of the airport. The bus stop is right at the exit of the airport. -It runs roughly every half an hour, from 5 am until 23:30 pm from Venice – Airport and from 5:20 AM to 1: 20 AM from Airport to Venice. Bus line n°5 ENEZIA – SAN GIULIANO – VILLAGGIO LAGUNA – TESSERA – AEROPORTO. -The journey lasts less than half an hour and it departs on average every half hour. -This is the longest option. 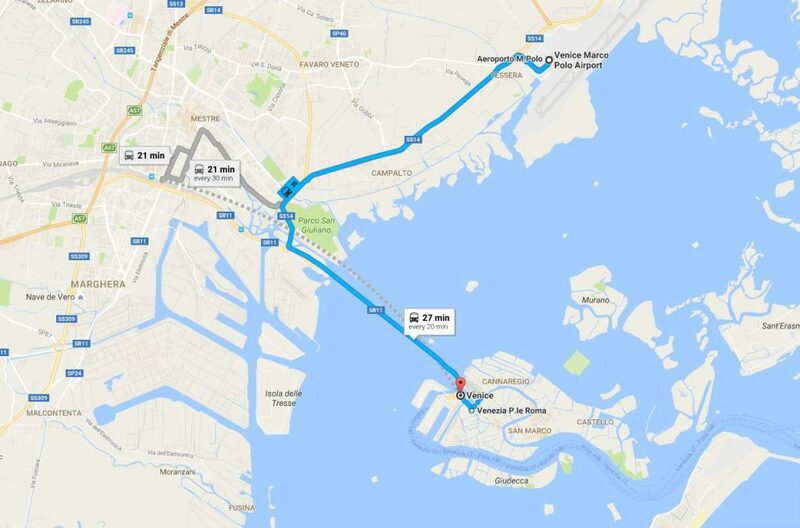 -From the Airport to Venice, the first bus is at 4:08 AM, the last at 1: 10 AM. 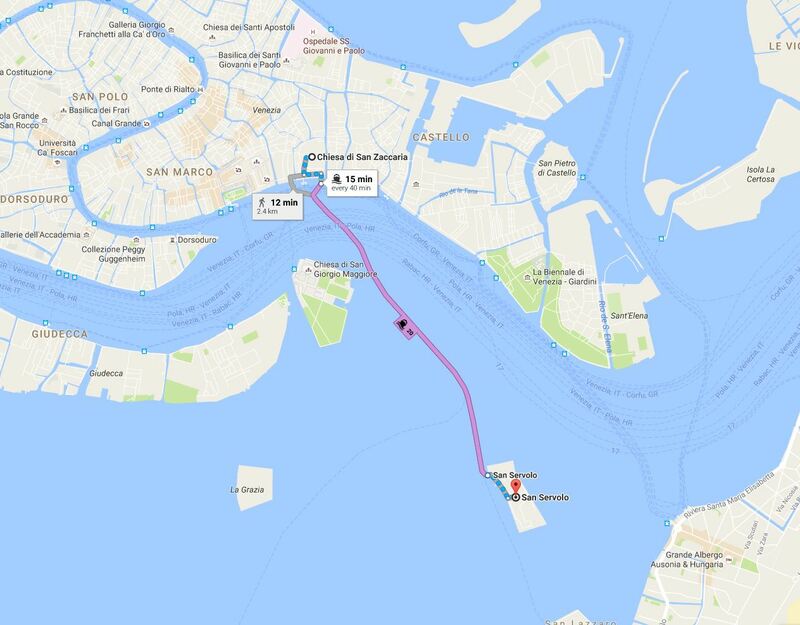 From Venice – Airport, the first is at 4:35 AM and the last at 00:40 AM. Once arrived in Piazzale Roma (bus station), you will have to take a boat to San Zaccaria, then another one to San Servolo. This company goes directly to San Zaccaria. -On exiting from the Arrivals hall, look for the covered walkway on the left and follow the walkway for 7 minutes until you reach the dock. -You can take 2 different lines. The fastest one is the red one (about 1h15). The alternative is the blue one. You can either take bus number : 5.1 (fastest), 4.1, or 2 (longest). The ticket runs for up to 75 minutes. It is therefore valid for the line 20 boat to San Servolo. It takes about 30 minutes to go from Piazzale Roma to San Zaccaria. A Taxi Service is provided by Cooperativa Artigiana Radiotaxi. Info & reservations: tel. 041 59 64 (24h service). About 40€ from the Airport to Piazzale Roma. A quicker but (far) more expensive option is to take the motiscafo, or taxi boat (more than 100€). Make sure you ask for the total price (all passengers and lugguage included) before taking the Motoscafo, as some taxi boat display tempting rates of only 1 per passenger. From San Zaccaria, take boat line 20. 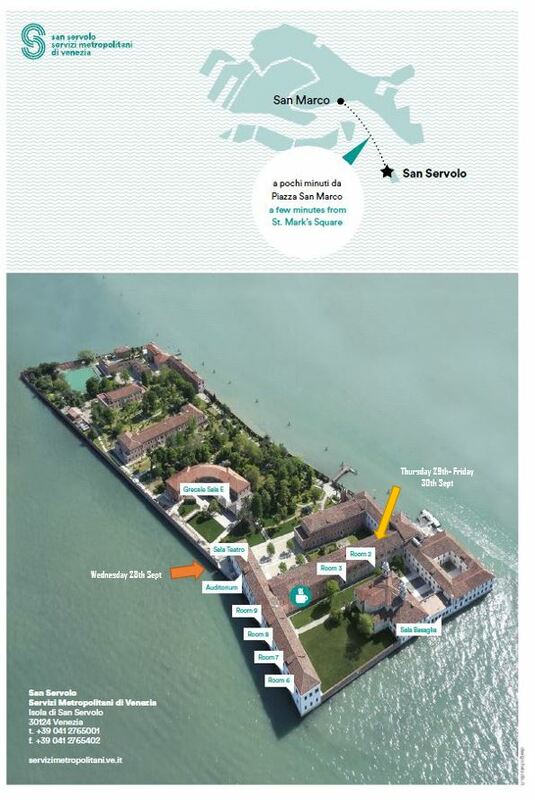 It takes about 10 minutes to reach San Servolo. If you have taken an ACTV boat : no new ticket. -> can be used on all transport means, both navigation and Mestre Urban Network (excluding trips to and from the Marco Polo Airport) and Lido buses involved in Venice Municipal area urban routes. To use a ‘time ticket’ to reach/come back from the Airport : +6€ (1 way), +12€ (return). This means you would be using ACTV transport all the way to the airport, i.e. reaching it by bus. 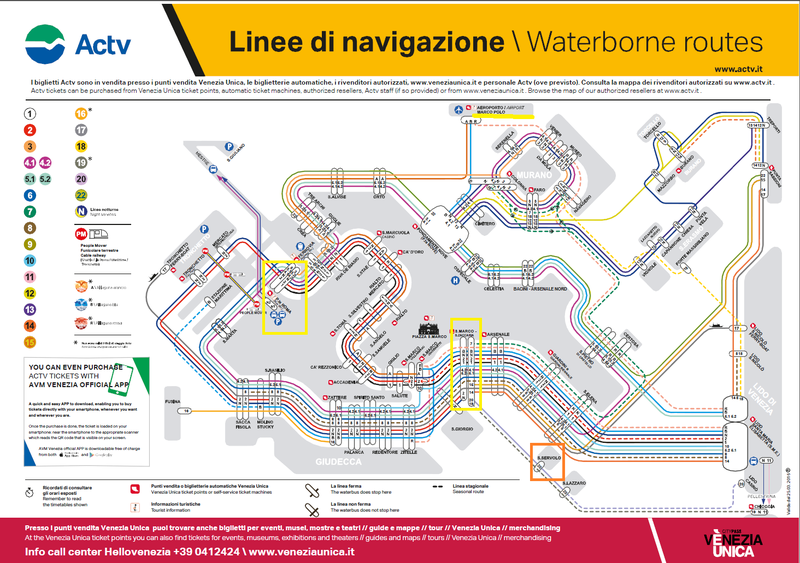 -> can be used on all Navigation services and means of transport (excluding Alilaguna lines, ACTV lines service n°s 16, 19 and Casinò) and land services circulating on Venice Municipal area urban routes (Lido buses, Mestre Urban Network, excluding bus routes/services starting and ending their journey at the Venice Marco Polo airport). -> subject to the purchase of the “Rolling Venice” card (6.00€). -> reaching/coming back from the Airport : +6€ (one way), +12€ (return), to be used within the term of the ticket’s validity, i.e. 72hrs. Thank you to fill in our registration form before the 15th August 2016. 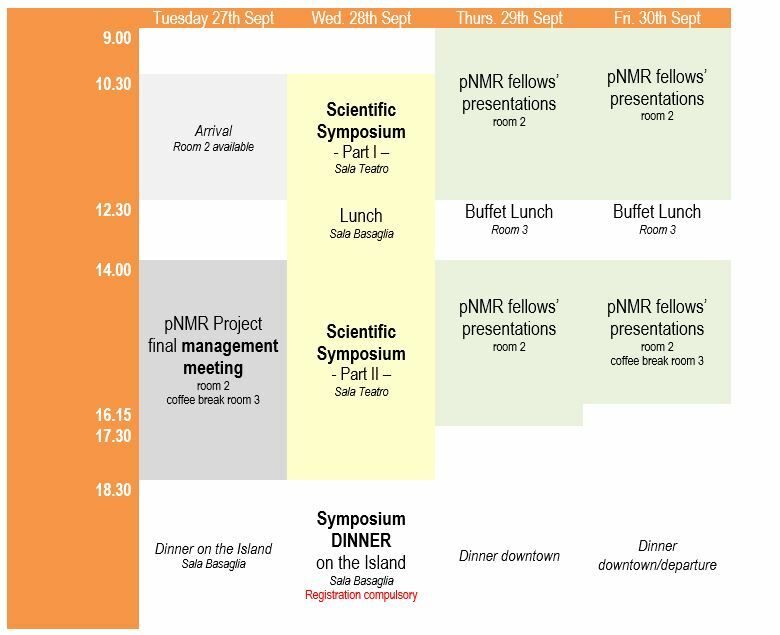 To contact us : venice@pnmr.eu.